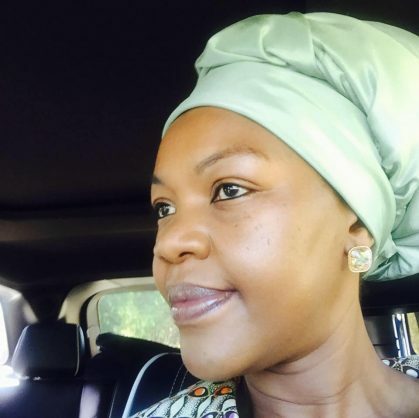 Phathiswa Magopeni, SABC's new head of news. Facebook. She has an MPhil in education, Integrated Marketing Communications Diploma, and an MBA, and is a Doctor of Business Administration (DBA) candidate. The South African Broadcasting Corporation (SABC) has announced its new group executive of news current affairs. Phathiswa Magopeni, currently employed at eNCA, will take the reins officially from 1 March, 2018. Magopeni, who previously worked for the public broadcaster as a desk producer, has an honours degree, Master of Philosophy (MPhil) in education, Integrated Marketing Communications Diploma, Master of Business Administration (MBA) and currently working on a doctoral proposal for a Doctor of Business Administration (DBA) degree with Gordon Institute of Business Science (GIBS). “South Africa’s public broadcaster has always played an indispensable role in the democratic order of the country, but it has also always had a special place in my own life. My first job in broadcasting was with the SABC; I learned a lot there, and have learned much in the industry since. “Hopefully, all that can be of use because this is for me a welcome return to where it all began. I am humbled by the trust shown in me, and look forward to being part of an institution which is crucial to providing independent news and information to South Africa’s citizenry,” said Magopeni in a statement released by the SABC. Chief operations officer Chris Maroleng welcomed the appointment. “As a public broadcaster, we recognise the pivotal role played by news and information in human, social and economic growth and development. We therefore saw it fit to appoint Ms Magopeni, as she has the expertise in the broadcasting industry, and we believe that her appointment will further strengthen our position as a credible and reliable news and information provider in the country as we approach the national general elections in 2019. “We welcome Ms Magopeni back to the SABC where she first cut her teeth in the broadcasting arena. We urge all staff members to welcome and support her in her role as the new group executive for news and current affairs division,” said Maroleng.